Do Diets Work? What does it take to accept and love oneself to the fullest? People may read the question and not quite see how they go hand in hand. Last night I watched a documentary called America the Beautiful 2: The Thin Ammendments. Yes, I know it is shocking to here I watched a documentary…hahaha. 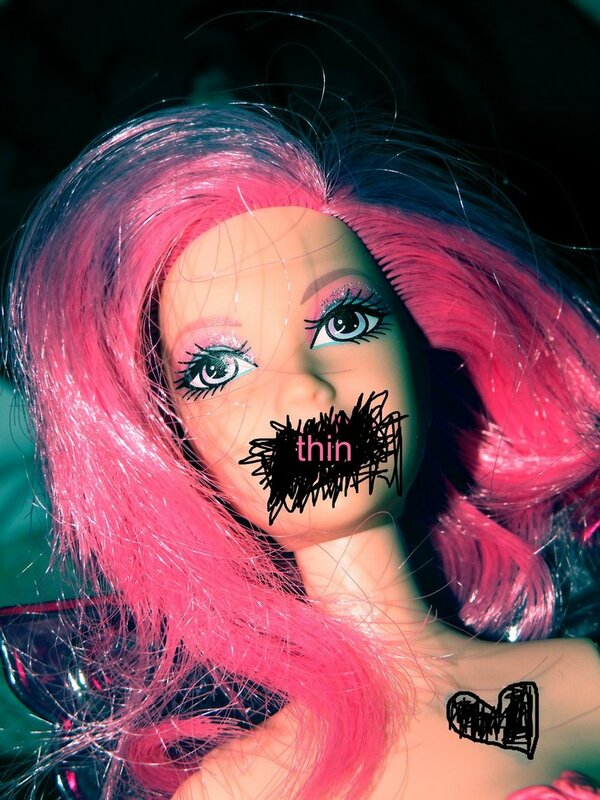 The documentary dealt with so many issues in regard to body image and health and whether or not diets really do work. The entire film enlightened me in so many ways but it also tugged at my heart strings because so many things hit so close to home. It is not an easy thing to admit but I am obsessed with my body and the way I look. I try to block it from my mind but it seems to creep its way back in at different times throughout every single day. Don’t get me wrong, my mind and body are in a much stronger and healthier place than they ever have been but the problem has not gone away…I don’t believe it ever will. We are now living in a society where people have no idea what it means to be beautiful. It is unfortunate but we live in a society in which a majority of us learn that beauty equates to being thin. Success comes with being thin. People are only going to take you serious or be attracted to you if you are thin. I am not saying this is right and I am not saying these are the thoughts of ALL but there is a lot of truth behind what I say. We are becoming lost as a society because so many people are focusing on being thin as opposed to being healthy…both men and women alike. The concept of beauty has become so warped because it has become an external thing. I have always viewed beauty as something that comes within….that is just me though. Remember, these are my thoughts and opinions….I am not throwing out these words stating I am absolutely right. I guess watching this documentary brought me to a place that really made me evaluate how I truly feel about myself. I do love so many things about me. I love my passion and my drive. I love my eagerness to keep learning and the creativity that runs throughout my veins every single day. I love the friends in my life and the blessing of having an incredible family. I love that I am able to be compassionate and empathetic at the same time because I realize the world is much bigger outside of myself. With all of this love still comes this nonstop evaluation of my body and the way I look. As much as I want to love myself regardless of the imperfections in my body, I have a very hard time being able to do so. 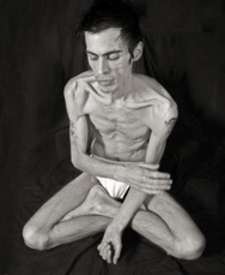 I can relate to people with anorexia and bulimia because there is always something inside of you that makes you obsessed with food (whether it is in a negative way or not) and how it is going to affect your body. I am an extremely strong person and the hurdles I have overcome are gigantic but this is a hurdle I have struggled with since I was a very young girl and I still feel like I am trying to paw my way to get over it but I keep slipping. Something seems to always set me back and I know that I am the one that chooses my path but it does not make it easy to live in a world full of media images that seem to brainwash us into believing what “real” beauty is and to live in a society where men seem to want the “hot” girl and by ‘hot” I mean the girl with the rockin body (no not all men….I admit that to be a generalized statement). There is such a divide between being thing and being healthy but as a society we are unable to see it (a lot of us not all of us). In this documentary, several members/employees of the National Health Department decided to lower the national BMI number. In case you didn’t know, BMI stands for Body Mass Index and according to this scale, most people should fall into a 25% range in order to be considered healthy. This number went from 28% to 25% because of a vote done by these members of the Health Department. What was most interesting about this, is that 4 (if not more) were also board members for the giant diet chain known as Weight Watchers. Do you not see the conflict of interest there? Do you think that there vote to lower the BMI rate had anything to do with the eagerness to make more sales for Weight Watchers. According to the government standard, Tom Cruise, Sylvester Stallone, and Mel Gibson are technically obese. So are sluggers Sammy Sosa and Barry Bonds, boxer Mike Tyson, quarterback Donovan McNabb, and wrestling superstar The Rock. And if politics is your thing, it turns out that California Governor Arnold Schwarzenegger—a bodybuilding legend—is obese, too. What kind of message is this sending????? because of all of these things and I never felt like I was good enough. I realize that none of these guys were the right ones for me but regardless of that…words hurt….no matter who they come from! When a person is constantly having a self-degrading battle in their own head about their weight and then they are insulted or reminded by someone else about it, it just is a huge blog to your self-esteem. You lose that sense of anything being worth it anymore because you feel as if society is telling you that you will never measure up. This is the first time in my life that I have lost weight in a healthy manner and kept the weight off for a significant amount of time. I would like to lose about 30 more pounds but I am not doing anything extreme to do that. I am healthy now and will continue to strive to be even healthier. I won’t lie and say that it hasn’t been a struggle. Every single day it has been a struggle. I feel like one of the lucky ones though because I have strengthened my mental state over time. I have pushed myself out of my comfort zone and I have refused to give up. I have MADE myself stop loathing myself and every single day I remind myself of all of the things that make me valuable to this world. Not every day is wonderful and some days I fall into that funk that makes me just want to stop trying but I won’t….I CAN’T! There are many people in this world though that don’t have this same strength (not to brag at all) because society around them is telling them that they have no chance to succeed and they will never change…unless you do something extreme. When you hear something enough times you start to believe it…trust me! This is not a “Woe is Me” situation….this is truth….this is what I have felt throughout many years of my life and I know the struggles that some other people in the world go through are WAY worse than mine. I write these words to remind people that beauty if not about the outer package. I write this to the people (whether skinny or heavy) that have struggled with their bodies to tell them that whether I know them or not, I KNOW that they are beautiful! The reason I want to go into the Human Services field is because the thought of others experiencing emotional pain and feeling unworthy breaks my heart. I want to offer my words to others and hopefully help them change the way they see themselves. I believe EVERYONE has the potential for success if they just have the right frame of mind. If you get a chance to check out the documentary I definitely recommend it….it is an eye-opener for sure. “diets” don’t work. food plans – in conjunction with exercise – even just walking – is what works. While I do think there is generally pressure on people to be only thin, I think too the concept extends WAY beyond just thiness. Today you are expected to conform to one preset “template” that the mass-media puts out there in the way you dress, what you are “allowed” to eat, what words you can “acceptibly” say in public, what kind of vehicles are “okay” to drive, what genres are profitible to write in if you’re a writer, and who makes you “truly enlightened” if you vote for them. It’s not just body image that is under assault, it’s the very idea of being an individual that is being squelched in today’s modern culture. i am glad that you are recognizing your true beauty regardless of “size”. theres immeasurable power in acceptance/love lf the , and also in a moderated approach to healthy, sustainable weightloss. congrats on both. i also recommend the doc. “fat, sick, and nearly dead” its avail on netflix and is a real game changer!